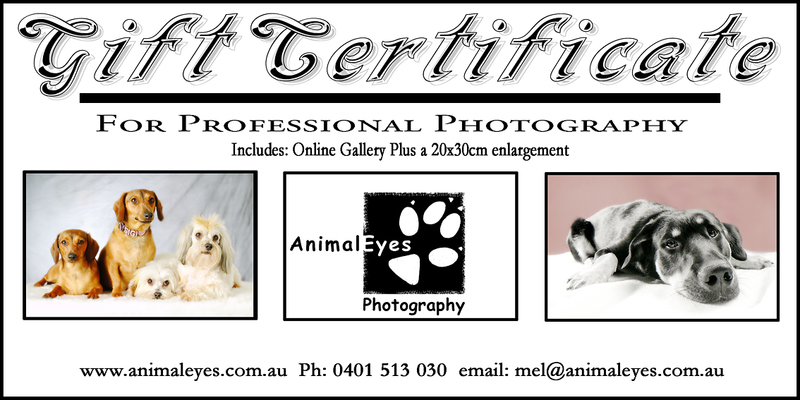 Purchase this gift of photography for Dog lovers…All photography is done by Melanie Whitten (owner of animal eyes photography) in the comfort of your home. A beautiful printable version of the gift voucher with NO dollar value shown will be emailed out to you once purchased. Available to Sydney residence only. 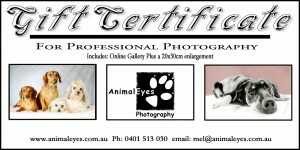 One free 20 x 30 cm enlargement of your choice.